A top-notch user experience has always been one of the main business goals for customer-driven companies. 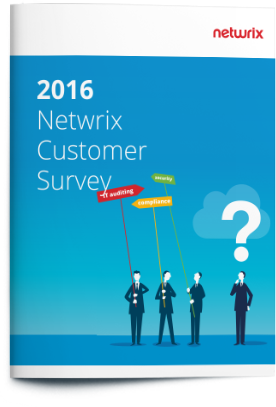 This survey was undertaken to gain a better insight into customer feedback, identify the most popular use cases and make sure that customers achieve positive results with Netwrix Auditor. Our goal to further improve our offer and meet customers’ needs and expectations. 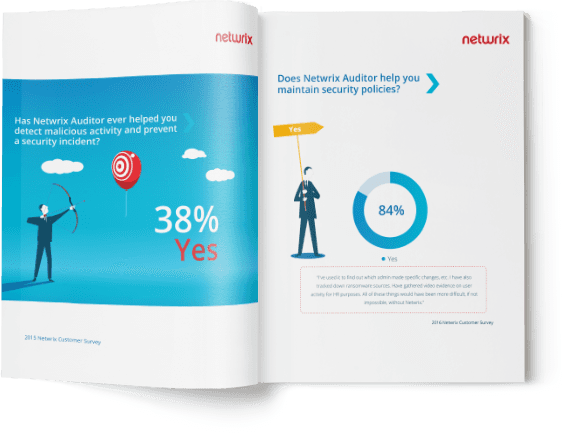 of customers pass compliance audits faster. of respondents are able to better maintain security policies. of IT pros have significantly reduced time-consuming routine tasks.